Despite a growing body of literature illustrating the benefits of self-compassion (e.g., increased psychological well-being; Ferguson et al., 2014), men athletes are underrepresented in self-compassion research. Findings suggest men athletes have particularly high levels of adherence to traditional masculine norms (e.g., dominance; Connell & Messerschmidt, 2005; Wasylkiw & Clairo, 2016), which might make self-compassion a challenging concept for them (Reilly et al., 2013). 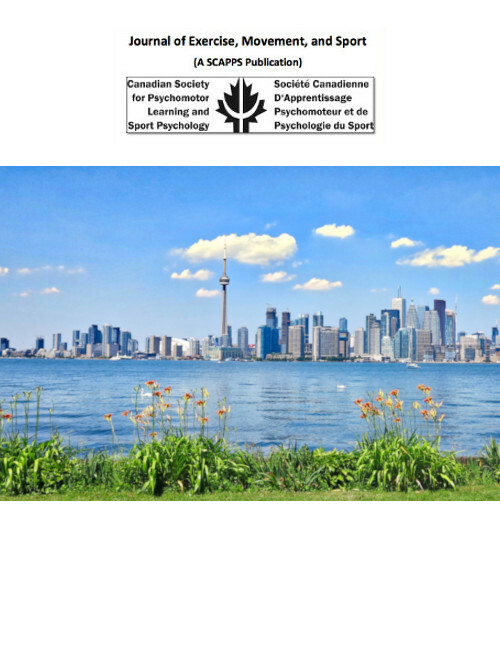 However, men athletes' experiences of self-compassion might be contingent on their varying experiences of masculinity, supported by a contemporary version of masculinity premised on acceptance of all embodiments of masculinity (i.e., inclusive masculinity; Anderson, 2005) that seems more conceptually aligned with self-compassion. To explore the relationship between masculinity and self-compassion, we sampled 211 men athletes (Mage = 22.8) from a variety of sports and competitive levels. Results show self-compassion is negatively related to traditional masculine norm adherence (r = -.31), three subscales of traditional masculine norm adherence (i.e., self-reliance, r = -.33; emotional control, r = -.29; violence, r = -.22), and fear of compassion for oneself (r = -.48), while being positively related to inclusive masculinity (r = .27). Self-compassion also predicted unique variance beyond self-esteem on traditional masculine norm adherence (4.1%), individual subscales of masculine norm adherence (i.e., winning, 9.5%; violence, 5.9%; emotional control, 4.3%; self-reliance, 2.9%), and fear of compassion for oneself (2.2%). In conclusion, a strong adherence to traditional masculine norms may impede men athletes from experiencing benefits of self-compassion, while a more accepting attitude towards other men's masculinities seemingly aligns with self-compassion.